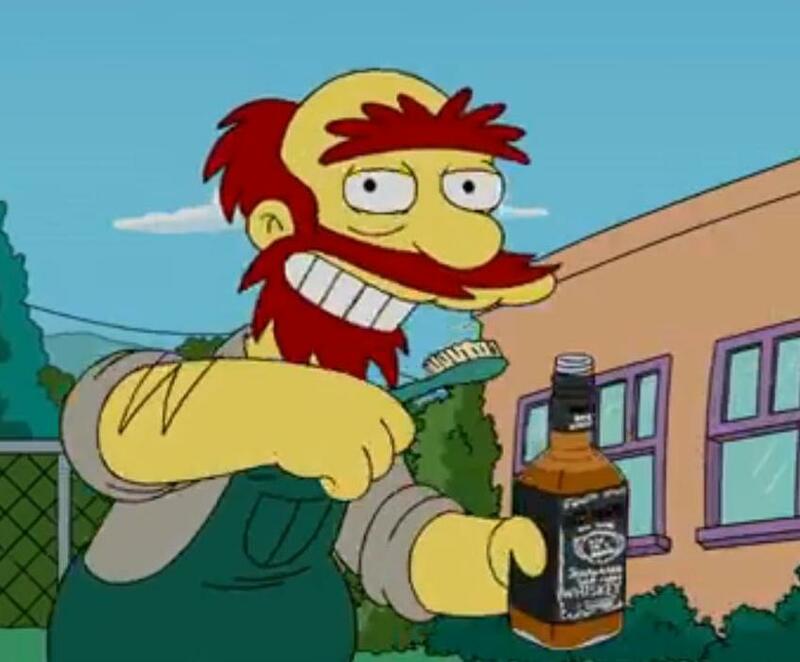 Groundskeeper Willie from The Simpsons brushes his teeth with whiskey. July 27 is National Scotch Day. Scotch is malt or grain whisky made in Scotland that follows certain regulations. According to Liquor.com, “There are just less than 100 distilleries operating in Scotland, and they all must abide by the Scotch Whisky Association’s rules. The alcohol has to be made entirely in Scotland and aged there in oak casks for at least three years and one day.” Also, they spell “whisky” there without an “e”. Whiskey always makes me think of the parrot that sang about whiskey in an episode of The Flying Nun. The episode was “Polly Wants a Cracked Head.” You see, Sister Bertrille rescues a parrot named Junior from a seemingly abusive owner and hides him in the convent (without the Reverend Mother’s knowledge, of course) until a new home can be found. Unfortunately, Junior sings sea shanties (“Whiskey for My Johnny”) and makes off-color remarks at the most inopportune times. Here is the episode in its entirety. Junior sings “Whiskey for My Johnny” for the first time at the eight-minute mark, and then again several more times throughout the episode. I’ve just found out that “Whiskey for My Johnny” is an Irish song, so the parrot apparently was singing about Irish whiskey and not Scotch whisky. I’m so drunk I could barely see! But it helps me get through another day! My stomach is filled with haggis and hurt! I’ve got to go puke in some hay! Have a happy and safe National Scotch Day!